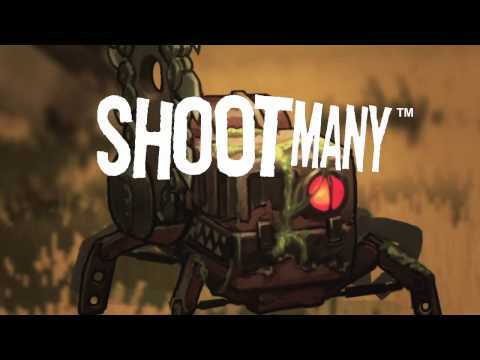 Ubisoft and Demiurge Studios presents Shoot Many Robots, a new downloadable title for PlayStation 3, Xbox 360 and PC, available through their digital platforms over the next year 2012. Shoot Many Robots follows P. Walter Tugnut in their mission to kill all the robots available after a plant begins to produce out of control robots murderers. With a cargo of guns and beer up to four players can hit shots made in co-op in this RPG shooter to enable extensive customization possibilities. Shoot Many Robots has two modes of play: Traversal, where players must move forward in a linear level, and Survival, which will face hordes of robots taking bait and hours of entertainment robotics.